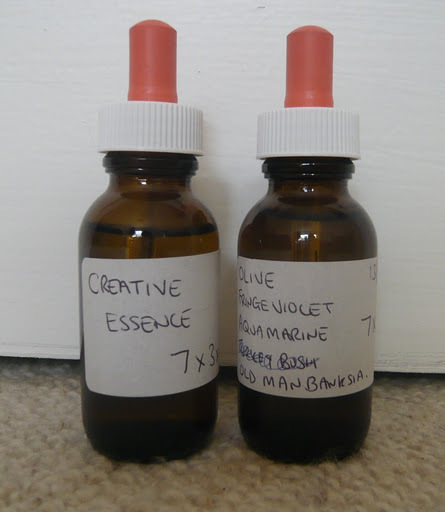 It sounds like hocus pocus, but I’ve been told to take seven drops of creative essence, at least three times a day. I’m also taking the same dose of some other botanic and mineral essences which are meant to help me focus a bit more on what I want from life and make me a bit more motivated. This is not what I expected from a kinesiology session, but after about 20 years of suffering from chronic discomfort in the neck, shoulder and back on my right side, I’m open to pretty much anything. I’ve had moxibustion, rolfing, Bowen therapy, acupuncture, chiropractic, myotherapy, physiotherapy and deep tissue massage sessions (and no doubt other treatments which I have forgotten) but nothing has worked. Someone told me a while ago that if treatments for the physical were not effective for me, I should consider that the problem might be more of an emotional block, but I don’t think of myself as someone with serious issues, and counselling can be pricey, so until now I have put it off. But a friend recently told me that kinesiology might be a good idea, so I decided to give it a go. Rather than kinesiology, though, the session was more like counselling as this particular practitioner practises “mind body detox”. I won’t go into millions of navel-gazing details, but I’ve been “prescribed” botanical and mineral essences (like the Bach’s range of remedies), given a special healing oil and was also told to sleep with an amethyst under my pillow (lucky I had a string of them at home that I bought in Jakarta!). Apparently amethysts have a clearing, focusing effect and used to be prescribed for alcoholics, which is kind of ironic in my case as I hardly ever drink. But they’re also meant to have a pain relieving effect, and whether it was unburdening my thoughts at the session, taking the essences, rubbing the oil on my neck, or the amethyst under my pillow, my neck does feel slightly more relaxed. I know I wouldn’t usually write such a serious post but if this treatment works, it will be nothing short of a miracle. I’m sure you’d understand if you’d had chronic discomfort for more than half your life! Also, I have to admit the concept of crystals having healing powers fascinates me. 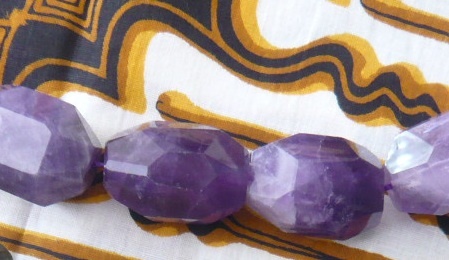 I’m still skeptical about it, but love gemstones nonetheless, so recently read Buried Treasure by Victoria Finlay. Finlay is an extremely engaging writer and it was fascinating to read all the myths and legends associated with amber, diamonds, pearls and so on – for example in Elizabethan times, aristocracy used to wear “scribbling rings”, which were set with uncut diamonds so they could scratch messages into glass for their lovers… kind of like writing on their Facebook wall, old-school style! If you love little facts like that, you will love Buried Treasure too. OK, book review and health report post over. Normal programming to resume soon. Hope you’re all well out there and have no need for any of the treatments I mentioned (and don’t think I’m a crazy hippy hypochondriac)! Goodluck. I hope it works…I like the sound of 'creative essence'. BTW, I totally adore your blog..(I looked you up after meeting you at the Southside Market…I'm one of the Vintage Dolls who had a stall next to you….and I'm still using the Shiseido wallet purchased from you…I get comments about it everywhere I go 🙂 Enough babble…great stuff here! I hope you get some relief, and find that a variety of approaches may cause a shift. I would also suggest adding in some sessions with a psychotherapist, since we all hold so much psychic pain in our bodies. It may help! Oh! That clears up the mystery of who you are 🙂 Glad you're enjoying the wallet, I loved it but never managed to use it as I always cart so much stuff around! Thanks, the kinesiologist was really more like a counsellor for me, although he offers several approaches. No idea what my psychic pain would be, seeing as I haven't had any issues in my life!